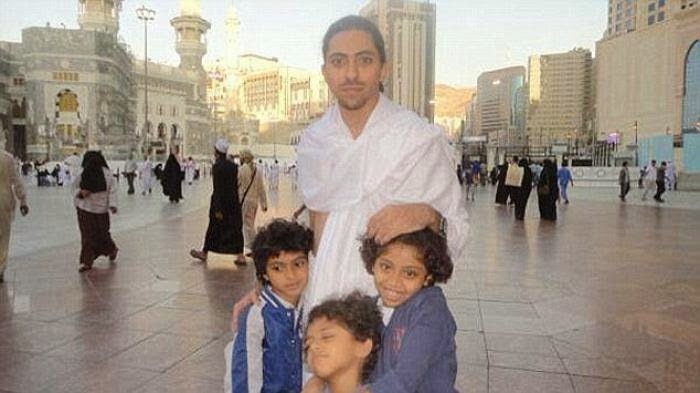 Saudi Arabia has postponed the caning of bloggers Raif Badawi for the second week as it was delivered human rights group Amnesty International. Amnesty said the decision was made after the doctor suggested this week sentenced to 50 lashes postponed due to health reasons. Saudi Arabia alone, as reported by The Guardian is under international pressure related to the blogger sentenced. A protest is done, while the guard is held in public places and outside Saudi embassies around the world on Thursday. Badawi (31) who is also a writer and activist and creator of the website Free Saudi liberals are scheduled to receive the lashes as much as 20 times per week the first starting on the 9th of January. He was sentenced in May to 10 years in prison and 1,000 lashes. Each 50 times in 20 weeks. Not only there, he was also fined 1 million riyals, or about USD 3.3 billion. He has been detained since mid-2012 because of his writings on his blog that was founded deemed "insulting Islam" and encourages debate on issues of religion and politics in Saudi Arabia. He received 50 lashes first on January 9, but the sentence was not carried out a week later. On January 9, then Badawi displayed on a YouTube video beaten in the square outside a mosque in Jeddah, watched by a crowd of several hundred people shouting Allahu Akbar (God is great) and clapping, whistling after lashing sentence ends. Badawi did not make a sound during a whip and could walk without assistance. Meanwhile His wife said he was afraid he might not be physically sick. Ensaf Haider, his wife, said he was "relieved" that her husband will not be beaten again on Friday, but said he still worried about his health.